2016 marked the 100th anniversary of the birth of Jessie Kesson. Moniack Mhor has been celebrating her life and work annually since 2007 with the Jessie Kesson Fellowship. In 2016, we ran a number of additional events. Jessie Kesson was born in 1916 in a workhouse in Inverness. Though she showed academic promise, she was prevented from advancing her education and she became a farmhand and domestic servant. In 1934, she married a cattleman from Abriachan and relocated to the Highland hamlet, just three miles from Moniack Mhor. During her time at Abriachan, Kesson worked on her own writing and became a contemporary of Neil Gunn and Nan Shepherd. Her novels include The White Bird Passes, and Another Time, Another Place. 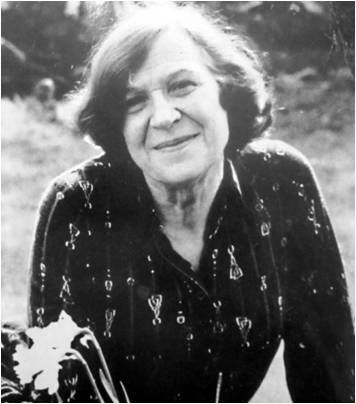 She later relocated to London where she produced radio shows, including Woman’s Hour, and adapted some of her own stories for radio. Journalist Dani Garavelli covered Jessie’s life and work, and talked to many of those that were involved in celebrations over the year in this article from The Herald, published on 8th October 2016. Celebrating the life and work of Jessie Kesson. Thanks to this 2016’s Jessie Kesson Fellow, Sean Burn, we shared quotes from Jessie Kesson’s work using the hashtag #JessieKesson100 periodically throughout the year.